Ten years ago, the neologism “BRIC” – referring to Brazil, Russia, India and China – was popularized, as economists asserted that these countries could be economic power houses of the 21st Century. A decade on, Mexico has entered the spotlight amidst the popularization of another, related, neologism, MINT: Mexico, Indonesia, Nigeria and Turkey – now tipped to be countries with significant potential and whose economies could enter the global top 10 within a generation—over-taking the UK, Germany and France. 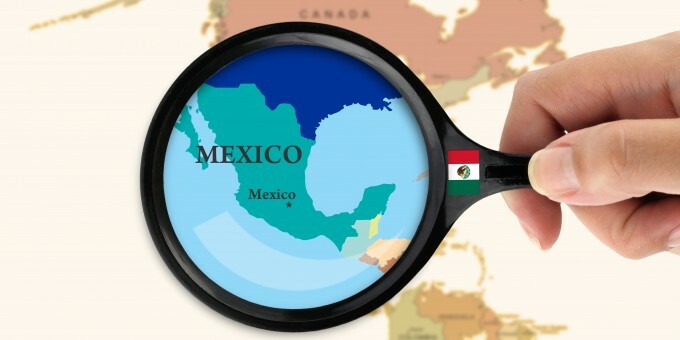 Mexico’s reforms in key market sectors, its young demographic, and its close proximity to the US and Canada contributed to the country’s inclusion in the MINT group which, as its predecessor BRIC, is a highly subjective assessment of certain countries’ economic potential. The country’s new administration led by president Enrique Peña Nieto has been in office a year, and has already pressed a number of reforms through the country’s legislatures in the areas of education and energy. Telecommunications and finance are two other key areas where the administration plans to introduce changes in order to bring more choice and competition. Developing trade and commerce is not a new concept to Mexico, a country whose trading credentials stretch back to Aztec times. However, the country today faces a number of challenges in the areas of education and training, modernizing key infrastructure, passing legal reforms and formalizing more areas of its colossal ‘grey economy’. For this latter work, it will need to demonstrate to the millions of people who make a living from (and sometimes thrive in) the grey economy that they will be better-off in the formal economy. For skilled foreigners who want to live and work in Mexico, it’s an opportune moment to consider a move. If you have experience and specialist skills, companies are hiring foreign expertise to bring new knowledge and raise the level of local capability. For entrepreneurs and those seeking to work independently here, Mexico offers a number of attractions. Besides the good year-round climate and great culture, Mexico offers excellent communications, a lower cost of living, and infrastructure that enables you to operate your business effectively whether your customers are in Mexico or overseas. Bill, retiring in Mexico and having something to do has always intrigued me. I would like to email you to see what your ideas on building involve. I’ve been studying Mexico for nearly 10 years. Married a Mexican girl near 7 years ago. Looking forward to arriving in Merida, Yucatan, in October. As a re-tiring contractor / carpenter I would welcome an opportunity to team up with an enterprising builder wanting to share knowledge and my extensive inventory of tools.